​Nina G is a creative songwriter and singer from Norway and a graduate of the UK's Liverpool Institute for Performing Arts. Nina has a passion for music videos and she creates and directs her visual concepts to go with the music. According to Nina, the visuals are as important as the actual song: 'I always write the song and the video at the same time in my mind" she says. "If I'm not seeing anything in particular when I'm writing something, I have to keep changing the song until an interesting image appears. And then it all makes sense.' In contrast, Feeding The Flame, from the UK band Albany Down, is a very different video submission that successfully uses established filmatic techniques to create an apocalyptic atmosphere reminiscent of a number of recent blockbuster movies. It has a big, professional movie feel and a lot of time, effort and expertise were clearly put into creating this video, making it a worthy joint winner. The Singer Songwriter category is the only category where vocals and performance are also judged together with the songwriting. In all other categories only the songwriting is judged. See the Help and Info page on this site for more details about judging. The competition in this category was very strong this year but after much deliberation the judges decided to award the winning position to 23 year old singer songwriter Lauren Haze for her entry "Flatline" (co written with Mark Zubek). The finalist songs listed below were also contenders to win this category. This was a difficult category to judge this year with such a huge variety of styles and many very talented and creative writers. 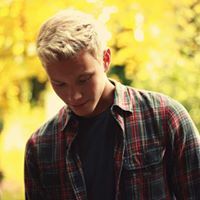 After much discussion the judges chose this entry by young German songwriter Thilo Berndt who has done a impressive job writing in, what is for him, a foreign language. The lyric is well structured to suit to a wide variety of musical settings and treatments, it is young and fresh and has strong, memorable imagery and a simple, clear message and hook. The songs and songwriters listed below were also contenders to win this category this year. ﻿The winner of the Love Songs Category this year is Break In The Rain by the UK songwriting partnership of Peter Lewis and Tony Hume. This is a song about lost love with the rain used to symbolise sadness, tears and heartache. The rain is "draining from the heart of me drop by drop". The judges described this as a competent and well crafted song. It was in the finals of last year's contest and has been officially nominated by the UKSC for the next Commonwealth Song Contest. The songs and songwriters listed below were also contenders to win this category. 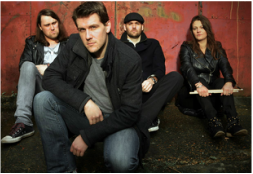 This winning song entry in the Rock Category is Feeding The Flame from the UK band Albany Down. Well known producer and UKSC judge Stuart Epps chose this as his favourite rock entry this year saying it is "Reminiscent of one of the best bands in my opinion: Foreigner. It sounds like a US hit." 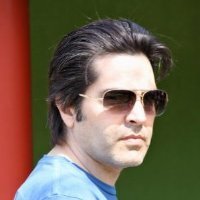 Stuart has expressed interest in working with the band and has some tips for edits and remixes for this track which we will pass on. The other UKSC judges were also impressed by this song, and by its video which is in the Music Video Category finals this year. This song was chosen by the judges as the winner of the Open Category. There was a geat variety of entries this year in many different genres and styles. This winnng song is written in Spanish, by Spanish songwriter Gonzalo Fraga. It is a charming and melodic love song written in Spanish using the Russian word for goodbye, dasvidaniya, as the song title and motif. The songs and songwriters listed below were also contenders to win this category this year. 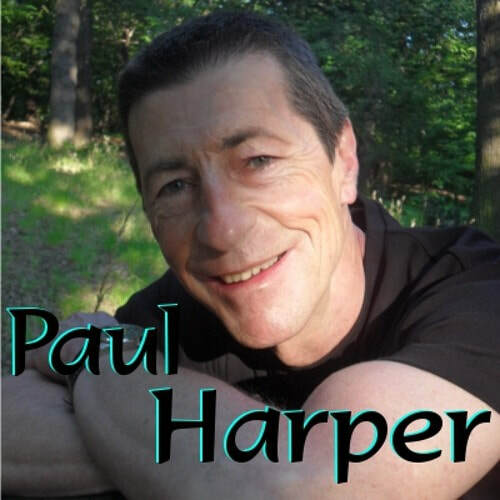 This song, High by Paul F Harper, was chosen as the winner of the RnB Category this year. The judges again had a very difficult task in deciding a winner as the songs this year are of such a high standard. Jaron Natoli and Laura Dominique were also mentioned by the judges as outstanding songwriters in this category, and three of the other writers listed below as finalists went on to win in other categories this year. In this category there are an equal number of instrumental and words/music entries. So this year there were joint winners in the Electronic, Dance and Ambient Category - one of each type. Copenhagen is an instrumental EDM piece by British composer and professional photographer James Bignell. I'll Be There is by US songwriter Susan Odella. The finalist songs and songwriters listed below were very close contenders to win this category this year. There were joint winners in this category this year: U-Turn by Norwegian songwriters Bjorn Erik Sorensen & Jane Gjestland, who both live in Sandnes, Norway. Together they write and record under the name of Black Roses. The other winnerr in this category this year is Brtish songwriter Chris Mason with his song Life's Mystery. This is the first year for the Retro Category and the entries were very varied and included 60s pop, 80s Disco, 90s punk, Motown and much more. The unanimous judges' choice for the winning song was "I Love You More" by Robert Marino. Multi Platinum songwriter Shelly Peiken summed up the judges views when she said "I Love You More" is the winner for me. Retro, yes… but it also feels very original. Charming" The finalist songs and songwriters listed below were also contenders to win this category this year and the songs Over You and Get Back on the Dance Floor coan be regarded as joint second position. In 2016 everyone who entered the contest received a gift package worth $100 (approx £80) consisting of $50 worth of songwriting courses and song pitching services at SongU.com plus a $50 six month "Film and TV" membership, including song pitching services, at Broadjam.com. This prize gift package for every entrant was worth approximately five times the entry fee. In addition, all category winners receive international lifetime SCO copyright registrations at SongCopyright.org. Prizes for category winners this year include guitars, keyboards, a personal coaching session with the hugely successful Multi Platinum songwriter Shelly Peiken and a session with well known songwriting coach Mark Cawley, the Mozart Software Awards and more. 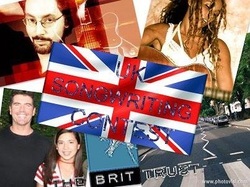 All category winners also receive honourary Guild of International Songwriter and Composer memberships, professional music websites and full one year professional memberships at broadjam.com, plus promotion and exposure on the exclusive Best Of UKSC music industry promotional album. Every contestant who takes part in the event receives a frameable Certificate for each song that they enter - there are Winner, Finalist, Semi Finalist, Commended Entry or Participation Certificates for all contestants. Use the search box above to see results for every song entered and to get Certificates (see the Certificates page for printing tips). Everyone song entered is carefully examined and rated and everyone who enters this competition has the opportunity to be noticed by music industry professionals in the UK and worldwide who follow this event very closely each year looking for new talent.